Online stream anime episodes, Watch Naruto Shippuuden Episode 38 English Subbed online and free episodes. Anime Episode guide, Chapter Naruto Shippuuden Episode 38 English SubbedSimulation Yamato decides a mock test for his team to see how everyone coordinated with each other. Naruto is paired with Sai despite his objections, and Sakura is assigned to support Yamato. 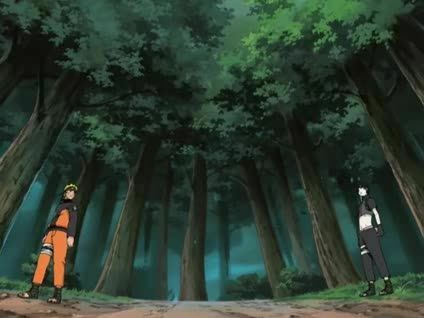 Yamato conducts a simulation of the meeting, with himself as “the spy”, to gauge Naruto and Sai’s abilities and teamwork. After Naruto makes a mistake, Sai immobilizes him and goes off alone. Naruto is angered with Sai for not acting as a comrade would, but resolves to work together with him to get Sasuke back. Sai then reveals to Sakura that he has no emotions, and little understanding of them, as a part of his training in ANBU Root.